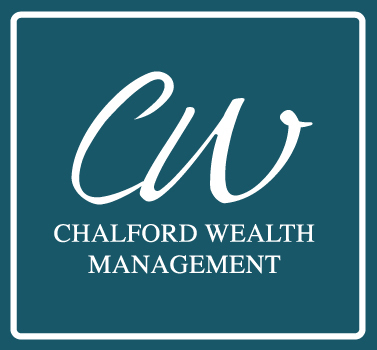 The PDF prepared by Lyle at Chalford Wealth shows you how your money will grow with and without increasing your monthly contribution each year. Page 2 shows you how having an RA can be used as a tax deduction benefit. IE: If you contribute a full 15% of your salary to an RA, SARS ultimately ends up paying towards your RA in the form of a tax rebate. What your money is worth in the future? What is investing and compound interest? One of the reasons that make a house such a good investment is that it is just about the only investment in which a normal average family can utilise financial leverage. Any bank is willing to give you a loan of about R500 000 if you can scrape together a deposit of R50 000. Then you get the benefit of capital growth on the full value of the house over the next 20 years – using the bank’s money to grow your own capital. The alternative is to pay rent rather than interest and thus subsidise somebody else’s property. On the other hand, your bank manager will be very sceptical of lending you R500 000 to buy some shares or unit trusts. He will likely argue that financial markets are too volatile and shares are unsuitable collateral. Consider this; Total interest paid on a home loan of R1.2m at 9% per annum will come to R1.39m over 20 years. The instalment is R10 796 per month. If you pay R200 per month extra, you pay your bond off after 19 years and save more than R80 000 in interest. If a home owner can pay R500 more than just his normal bond repayment every month, he will save R182 752 in interest over the term of the bond. His house will be paid after 17 years and 9 months. An investment of R500 per month in a savings account would have grown to less than half this amount. Delay in increased retirement fund tax deductions proposed. In terms of the new proposal, the introduction of an annual R350 000 contribution ceiling will also be delayed for two years. According to a presentation by National Treasury the contributions to provident funds will continue not to benefit from the tax deduction enjoyed for contributions to pension funds till 2017. It stressed that provident fund members would in future still be allowed to take a cash lump sum for funds that had already been saved and that they would not be forced to annuitise historic savings. In South Africa, 63 000 people are among the top 1% of the wealthiest people in the world. The wealthiest 10% of our population hold 71% of the country’s wealth, according to a global wealth report by the Credit Suisse Research Institute. Rich South Africans have most (73%) of their wealth held in financial assets. Inequality has risen since 2008, particularly in developing economies, says Mark Stierl, a researcher at the Credit Suisse Research Institute. Discovery Stat: It’s said that one in four South African women and one in three South African men will develop a heart condition by the age of 602. At Discovery Life, that’s the kind of statistic that we want to avoid you becoming – by helping you to live a long, rich, healthy life full of happiness and rewards.